IGNITE! 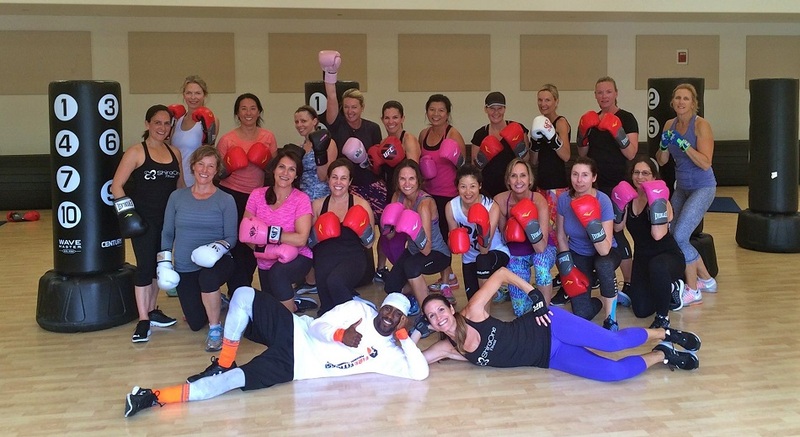 is a one of a kind group training program specifically designed to allow fitness enthusiasts from all walks of life the opportunity to participate in the kind of challenging and empowering style of exercise that ONLY boxing can provide! No matter the age, fitness level, or striking experience, there is something here for almost anybody. The classes are super fun, easy to follow, and designed to allow you to go at your own pace. The best part is you'll be in a safe, exciting, and positive environment with a high level of professional instruction. So, if you're looking to design the best body of your life and ready to push yourself to a whole different level come join us at SBM GroupFIT in the heart of Menlo Park! You won't be disappointed!!! IGNITE! is a mid to large size group class for active adults of all fitness levels and ages. Participants are encouraged to hit hard, let loose, and have fun! In this one of a kind class you'll be led through a series of easy to follow boxing combinations along with lower body and core drills that will skyrocket your metabolism. If you're looking for a new style of fitness training in an empowering group environment; one that's proven to get results in a fast and fun way as seen on TV's Sweat Inc., this could be exactly what you've been looking for! Please bring your own boxing gloves and wraps. Loaners available if you're not sure what to get for your first class. IGNITE! is currently at SBM GroupFIT, 1011 El Camino Real, Menlo Park.